All Elite Wrestling has another big show on the cards. In between showing up randomly at independent wrestling shows and working on getting their new promotion up and running, the Elite broke some big news today. The group appeared at Chicago's annual C2E2 convention (Chicago Comic and Entertainment Expo) to announce that All In 2 would be returning to Chicago. ProWrestling.com carried a report on the news. The first iteration of All In took place last September and was one of the biggest independent wrestling shows ever in the US. Its success led to speculation that the Elite might be looking to form their own promotion since they would all become free agents around the same time in 2019. The promotion, All Elite Wrestling, came to fruition on January 1st and it's been all systems go ever since. Since the Elite are all big gaming fans, and especially Kenny Omega, they all appeared at the C2E2 expo with big news. They announced that they would be returning to the city in which they put on the first All In, but did not provide a date or a venue for the show. ProWrestling.com's report mentioned that they did 'reference the Sears Centre, the location of the original All In PPV' and also that 'they would remain 'loyal' to the establishment. 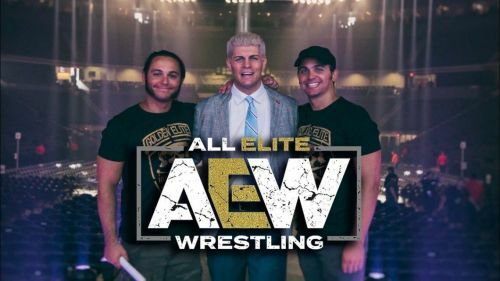 Double or Nothing is the next big show for the new company in May, so the second installment of All In will likely take place later this year, whether at the end of summer or the beginning of the fall. AEW is still building its roster and divisions and is still in negotiations for a major TV deal in order to air their weekly show. In order to keep fans interested and to keep themselves on the minds of wrestling fans, the Elite have to pop up at random events and other booked appearances to make various announcements since they do not have a TV deal. Once the year moves on, it will be announced when All In 2 will take place. AEW already has a list of events in mind but nothing solid as to what will take place when. Since All In started it all, it might be booked for September like the first show or maybe they'll wait until the TV show airs before having the second All In. Whatever the case is, the Elite will likely continue to drop news tidbits and drop in on independent events until their promotion is completely up and running.